Outer beauty begins with inner peace. Everything about the Karma spa experience is designed to caress the senses into a state of peaceful relaxation. From the talented hands of our well-trained professionals to the warm soothing ambiance of our beautiful facility, our luxurious spa treatments renew you from the inside out. 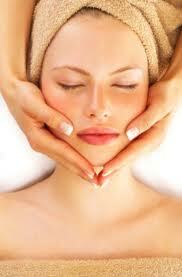 Karma Spa & Salon is proud to offer services and products enjoyed in luxury spas around the world. Indulge yourself with the most progressive and comprehensive range of spa experiences without leaving town.